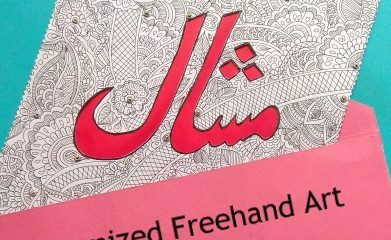 In my previous post I share some colorful handmade cards for Eid & birthdays. 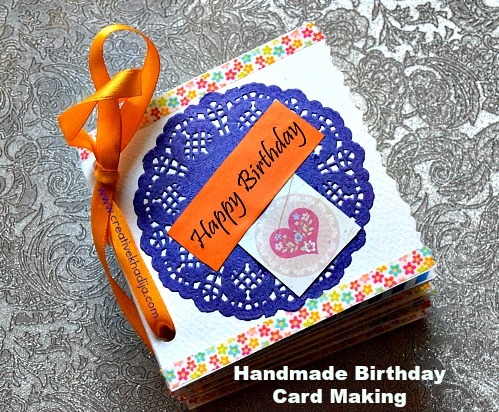 Today I am again going to share some more handmade cards making ideas. 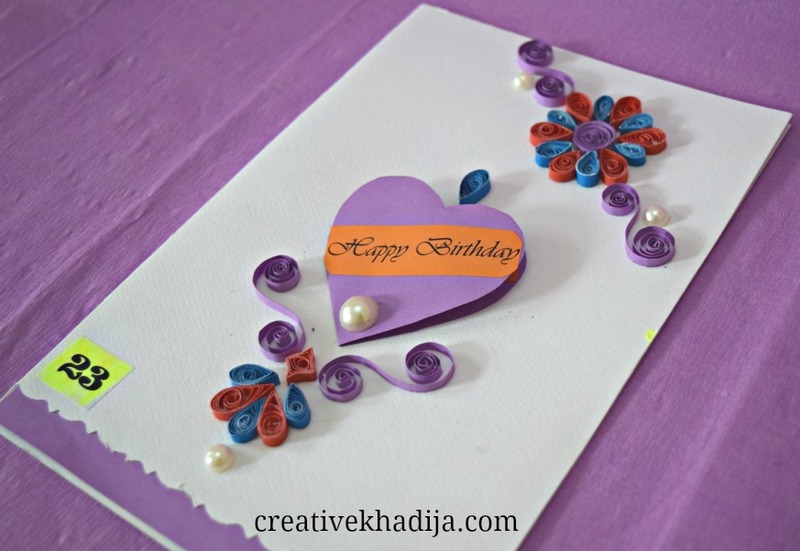 Here are some easy & beautiful handmade paper quilling cards making ideas. 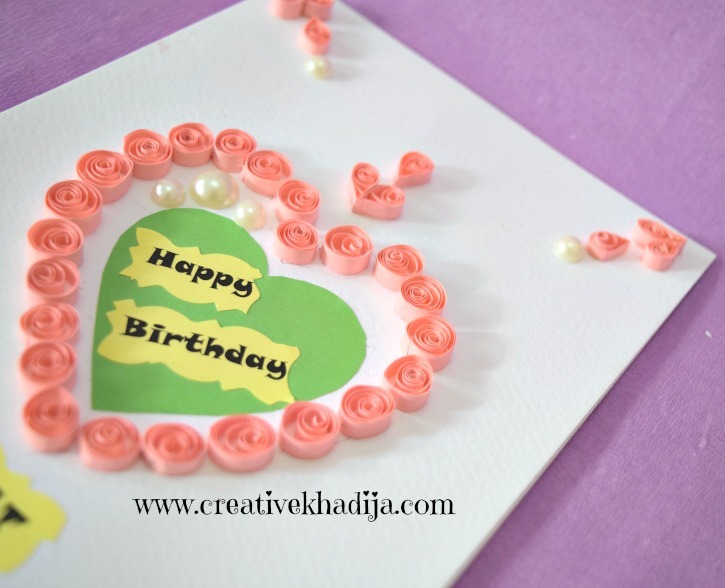 I am sure you will like these handmade quilling cards designed by Creative Khadija. 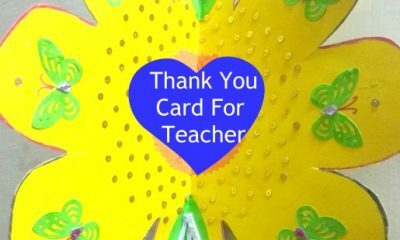 Let me know if you liked these colorful paper quilled handmade cards. 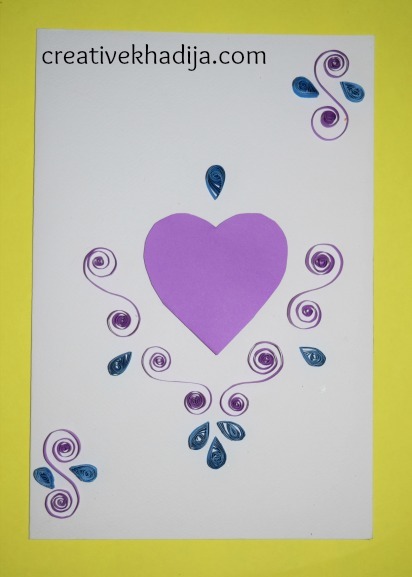 Some quilled leaves & shapes & put all these on the card to see in which position they will look more nice. I cut some thin strips of paper & rolled these round. Make buds like this & paste with glue. You can arrange in different shapes as well. First make lots of paper quilled tiny shapes & items. Then sit well & design. Simple? Not that much simple though :p haha. Decorate it with some pearl beads too. 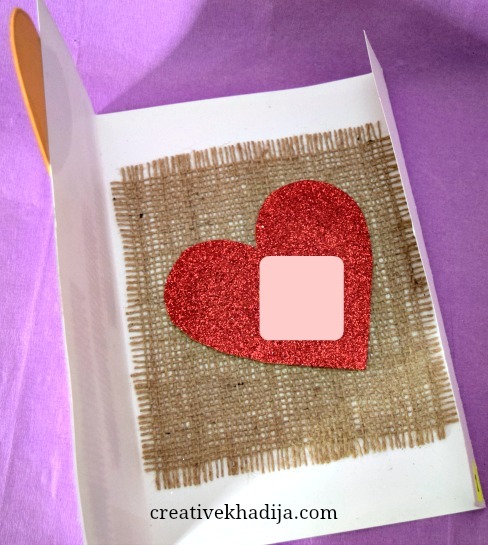 Glitter cards are always interesting to make. 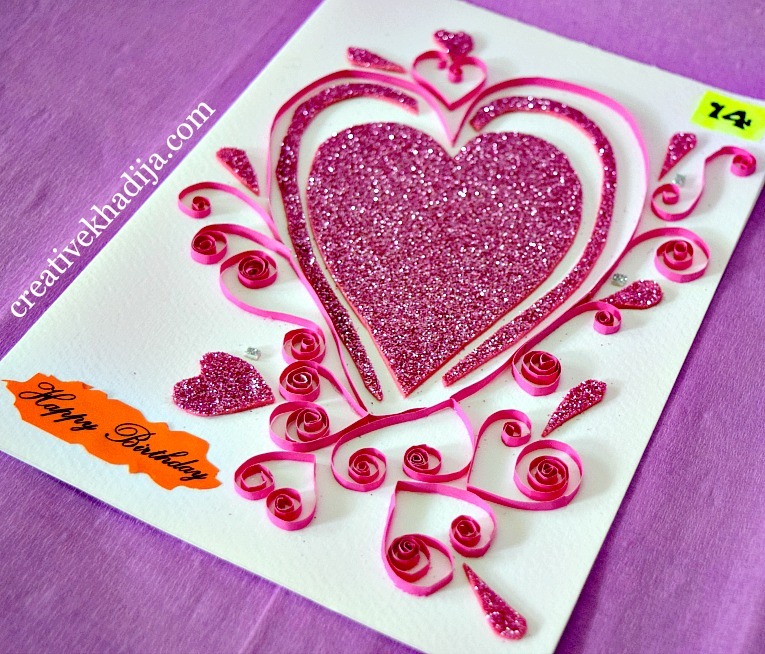 I made this glitter plus paper quilling cards. 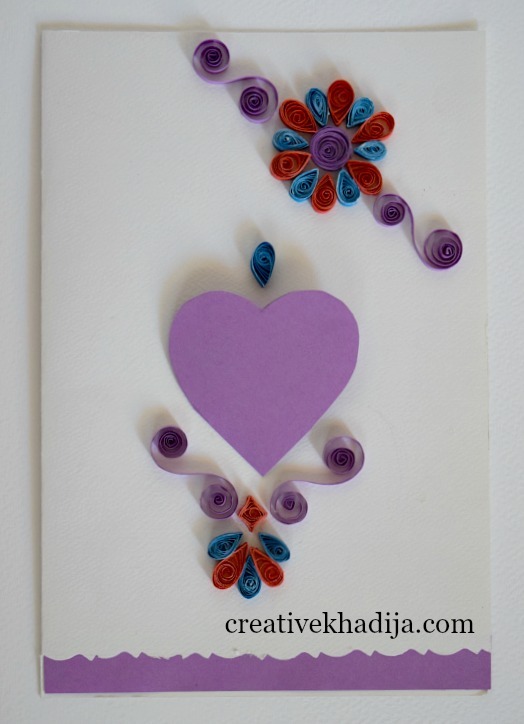 What about this heart shaped paper quilling card? 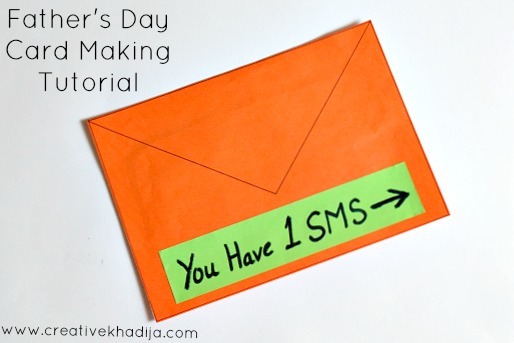 This birthday card is simple & easy to make! give it a try! 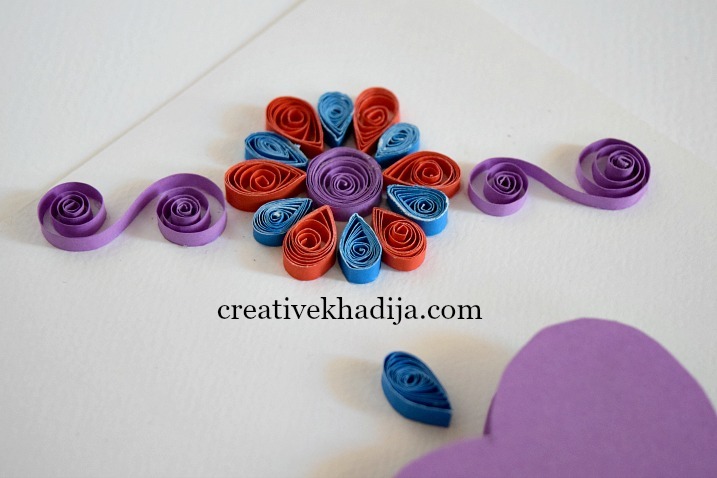 Different ways to place the quilled flowers & shapes. Whatever suits you well, Go for it. One of my favorite card. 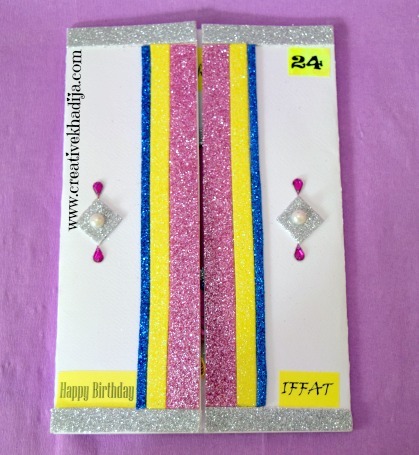 Here I used colorful glitter foamic strips here as well as pastes some drop shape rhinestones. 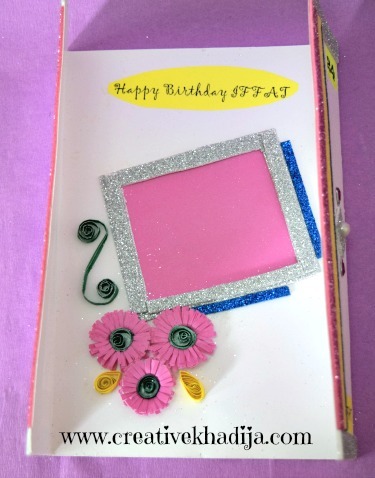 Inside this handmade card, I pasted some paper quilled flowers & space for putting a photo inside. 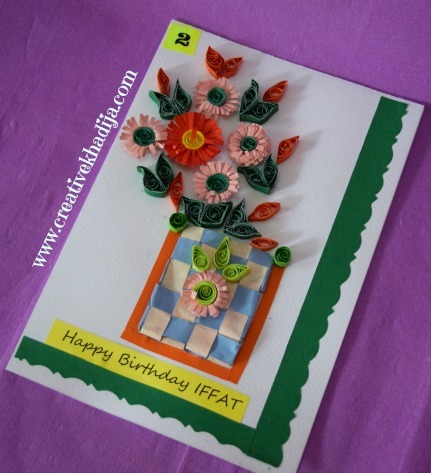 This paper quilled flower basket card is designed & embellished with paper crafts, with a paper weaved flower pot. Inside this card, I paint some motifs with green paint brushes. 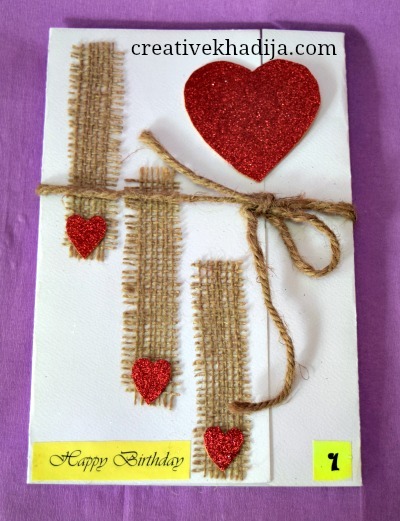 I embellished this card with jute fabric pieces. I pasted red glitter hearts on it. I wrap it with a jute thread as well. You can put a message on it, Inside space of this card is pretty nice. There is space on the big glitter heart as well. So there were many cards I were designing on & off for some clients. I hope you will like these. 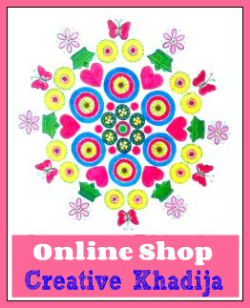 If you want to buy any handmade card for Eid or Birthdays or any other greeting cards for Mother’s Day, Father’s Day or Get well soon cards etc. You are welcome. 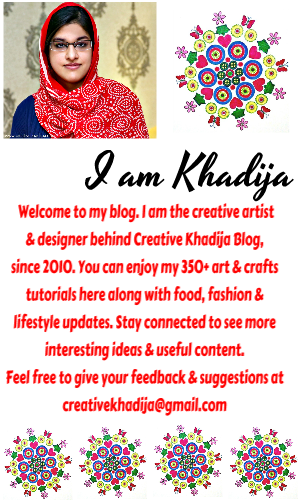 Contact via email (creativekhadija at gmail dot com) or use the contact form. Thanks a lot Pita :) My pleasure! I am impressed with your work, so beautifully done dear. Thank you for sharing (: x! Those are gorgeous. Quilling is such a beautiful form of art. Indeed Rebecca, Quilling is fun & a bit different from other paper crafts. Lovely cards. Liked the jute fabric one the most. 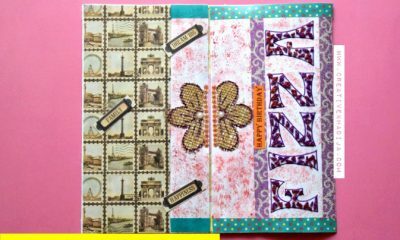 Thanks Ranjana for admiring the cards. Have a nice day! I’m loving all the spiraled paper!! Todo con tu personal estilo, me encanta.